Our MHD series roasting machine is our 2015 latest roaster; it can roast peanut, chestnut, cashew, soybeans, sunflower seeds, etc. It’s a perfect roaster to process different snacks for individuals or shops. 1. This machine choose stainless steel, steel plate made roller, heating balance and sealed relatively, with good roasting function, it can improve the roasting 1-2%. During roasting, the seeds inside the rollers no stick the pan, and also easy to let out the materials, just need to switch the Reverse button, the roasted materials can be out of the roaster and auto separation. 2. The outside of the inside rollers choose high quality asbestos as thermal insulation materials, so it’s with good insulation and efficiency heating. 3. This roaster can use natural gas, liquefied gas, or heating pipe as heating source, with auto roasting, auto out. A: Yes, we will. The core of our company culture is honesty and credit. 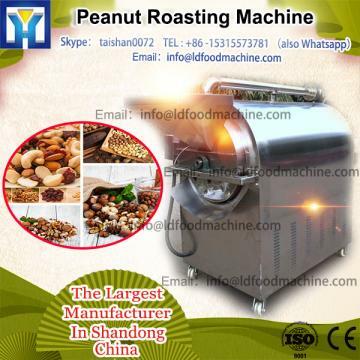 Also you can check our Gas powerd Small commercial nuts cashew peanut roasting machine price Site, there are several importers' transation History. A: As usual our payment is 50%T/T as deposit, and the 50% balance against the copy of B/L. Also we accept the payment such as L/C ,Escrow Or PayPal .